Louvre size has changed over the years and increased as louvres and shutters got larger. The popular size is between the 76mm and 89mm louvre, the size chosen depends on your window style and layout. 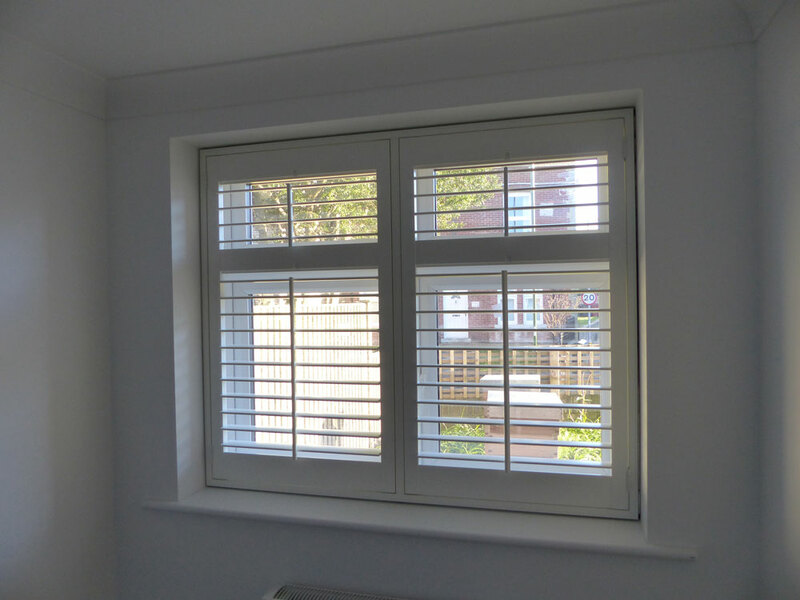 Large modern UPVC windows are generally fitted with large 89mm louvres, smaller windows are fitted with the 76mm louvres. Yes, the louvres adjusted by moving a louvre blade up and down or the central control rod. The hidden tilt mechanism and control rod is connected to every louvre within each section so all the louvres tilt at the same time. Windows over about 1500mm will need a split in the hidden tilt mechanism, this will also provide extra privacy options. 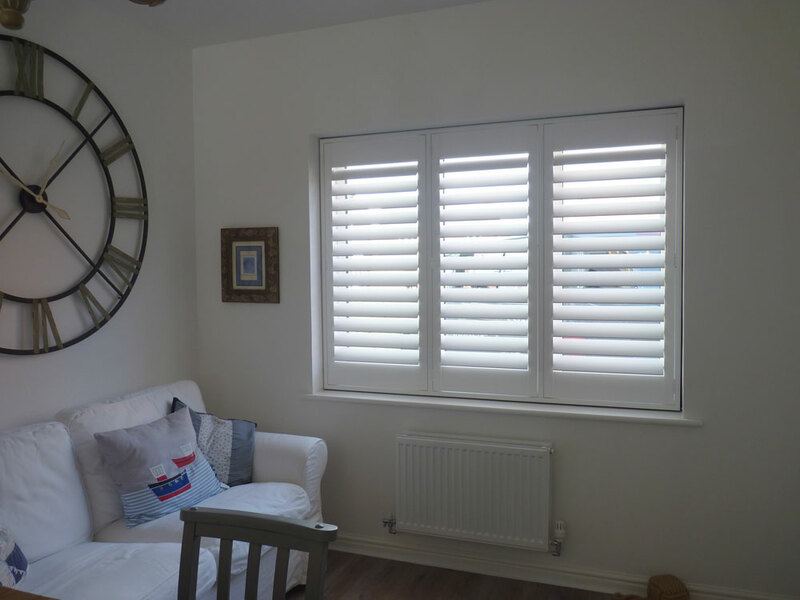 64mm louvres are a traditional size, they are designed for bi-folding shutters, they will reduce the light in your room more than the larger sizes and make the shutters look busy. 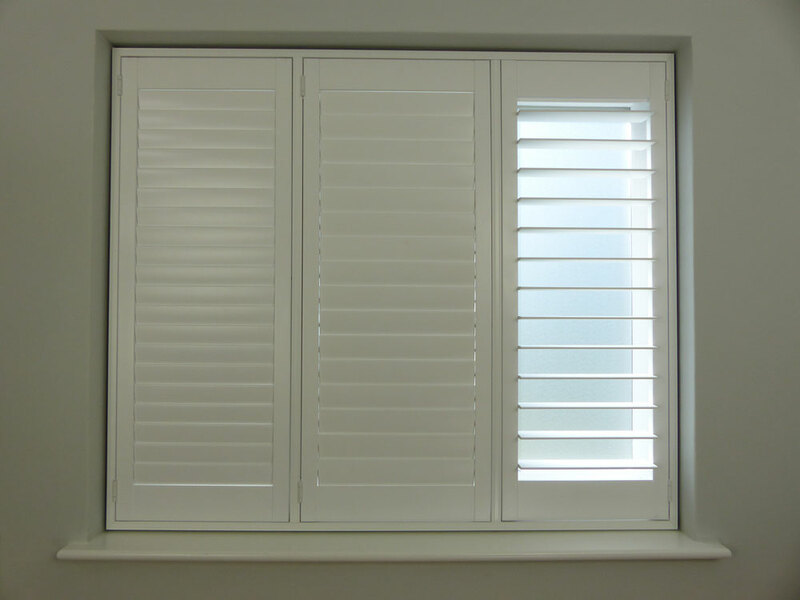 We recommend only choosing these small louvres if your matching existing shutters. 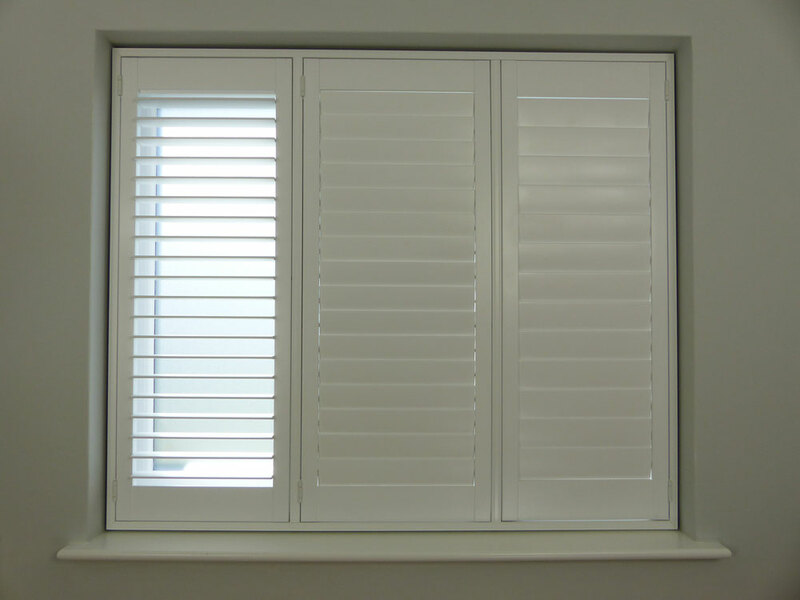 76mm louvres are suited to smaller windows, like sash or casement windows. They are large enough to let plenty of light in, so you can’t go far wrong choosing these if you’re unsure. The maximum single panel width is 890mm. 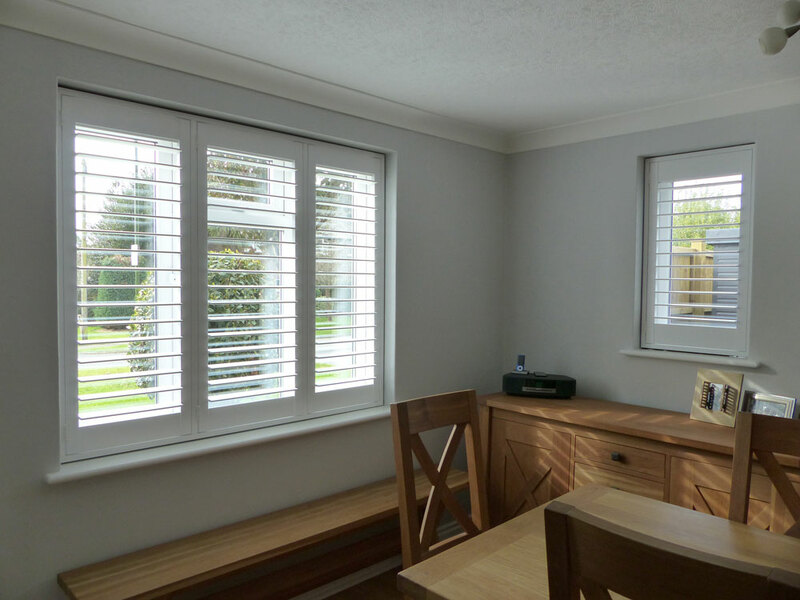 89mm louvres suit large windows and doors, they are modern and let plenty of light in, mind they do protrude further so watch out for handles. If you have wide panels, then we recommend the large blade, these 89mm louvres can be made up to 1047mm long. SMALL 64mm – The 64mm louvre blade will not let as much light into the room as the larger sizes. The more popular and current trend is the medium or large louvres that let in lots of light. Unless you’re trying to match some existing louvre sizes, we suggest choosing a larger louvre. 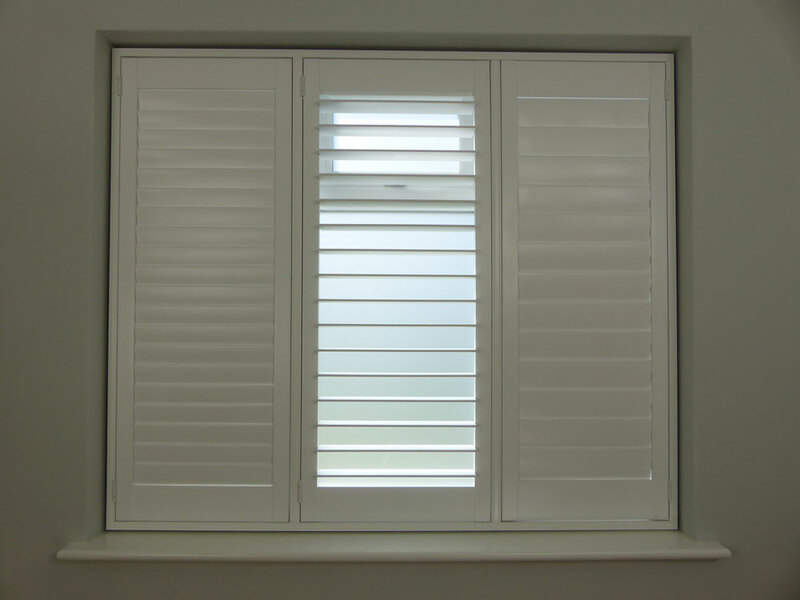 The 64mm louvre slat does not protrude past the back of a standard L frame, this does allow for small protruding handles or if you have a shallow or small recess, they can also be used if your mounting shutters directly onto windows or doors, generally the louvre blades just tilt within the glass recess depth. On Sash windows the staff bead can protrude a little and may stop the louvre from tilting, as the 64mm blade sits very close to the back of the shutter frame. You may need to adjust where the louvred window shutters fit or use the medium shutter frame or a build-out for extra space. MEDIUM 76mm – The perfect all-rounder, suitable for small, medium and large windows. If you’re not sure on louvre size, or perhaps you have the smaller 64mm louvres on other windows, the 76mm louvre is a subtle increase but will make a lot of difference to the light and space created in your room. There is 9.8mm clearance from the back of the louvre to the back of a 60mm L frame and 25.8mm from the back of a large 76mm L frame. If you’re using the small 46mm L frames, the louvres will protrude 4.2mm past the back edge so make sure you are aware of any handle protrusion. We’ve set this louvre size to our default louvre on the order forms. LARGE 89mm – The large 89mm louvred shutter is one of the most popular blade sizes. It suits medium to large windows and Patio doors. You get maximum light, an ultra-modern feel, with a great view out of the shutters. They are easy to clean and single large panels can be made 1047mm wide. You generally need the 60mm medium frame with 89mm louvres, this way the back of the louvre will not protrude past the back of the frame. If you have leaded lights or lots of glazing blades or features on your glass, then choosing a large louvre will help stop the shutters looking so busy.